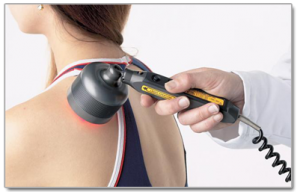 The technology of Cold Laser Therapy has been around for about 30 years and have painlessly treated chiropractic patients world wide. Cold Laser Therapy is effective in targeting acupuncture trigger points, and stimulating deep tissue with laser protons. Many people have found Cold Laser Therapy to be an excellent alternative to acupuncture and surgery, as well as a regular part of their chiropractic care.